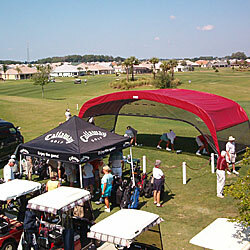 We also conduct many demo days during “the season”, generally from September thru April. These involve the club companies coming to The Villages and showcasing all their current equipment. We offer fittings by the company representatives. Many of them bring their Tour Vans, where they can build and tweak clubs that same day, just like they do for the pros!